Stockholm 2015: this wooden chair by British designer Jasper Morrison was created for use in a Tanzanian orphanage and will be sold to fund the centre's development. Comissioned by Swedish furniture brand Offecct, the Kali chair comprises a simple laminated wooden seat on top of a wooden frame and round lathed legs. and is available with or without upholstery on the seat and back. It was created by Jasper Morrison for use in the first of a series of buildings constructed at the foot of Mount Kilimanjaro in northern Tanzania. The cluster will eventually include an orphanage, a school, offices, and homes for children and aid workers in the area. Morrison's chair will also be sold internationally, with part of the revenue going directly to non-government organisation ECONEF and put towards the continued development of the orphanage. 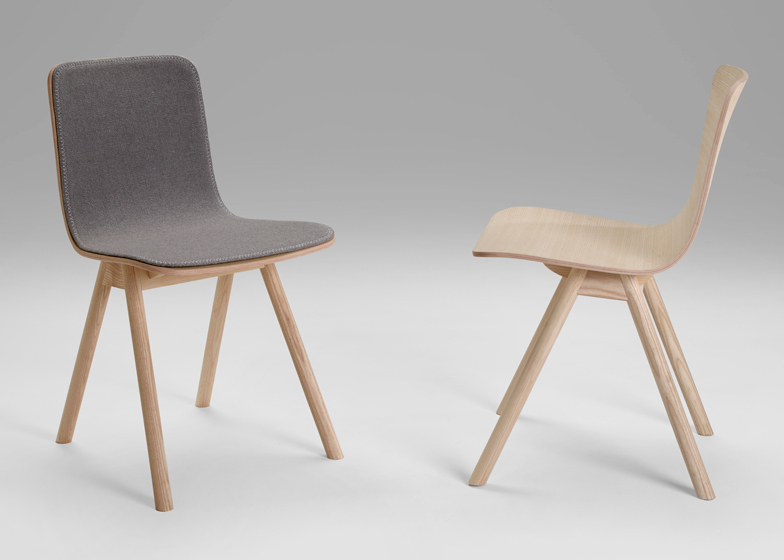 Currently made in Sweden, the chair was designed using techniques that make it possible to bring production to northern Tanzania in the future – creating local work opportunities. For this reason, the type of wood and upholstery used in its construction has been left open. "Kali was designed with a somewhat low technical aspect to allow the possibility of it being produced locally later on," said Jasper Morrison. "The character of the chair is slightly educational without being boring, I hope, and necessarily designed to have a long life." The project is part of Offecct's ongoing collaboration with ECONEF and marks the first time the brand has worked with Morrison, whose previous designs include the iconic Air Chair – a lightweight stackable seat made from one piece of injection-moulded polypropylene. "We are very pleased to be working with Jasper Morrison. He understands the importance of this project," said Offecct CEO Kurt Tingdal. "We have supported ECONEF since 2013 and by creating this chair we can contribute something that is physical, something that can be used straight away, besides offering monetary support." Based in both Sweden and Tanzania, ECONEF's African branch is run by orphanage owner Caroline Nicholas. 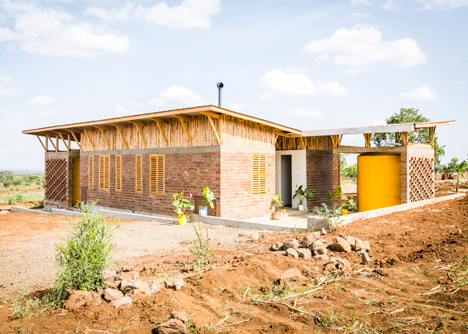 Located in Jua Kali, outside the city of Arusha, the organisation aims to improve the standard of living for orphans in the area. The Kali chair will be presented at the Stockholm Furniture Fair from 3 to 7 February.